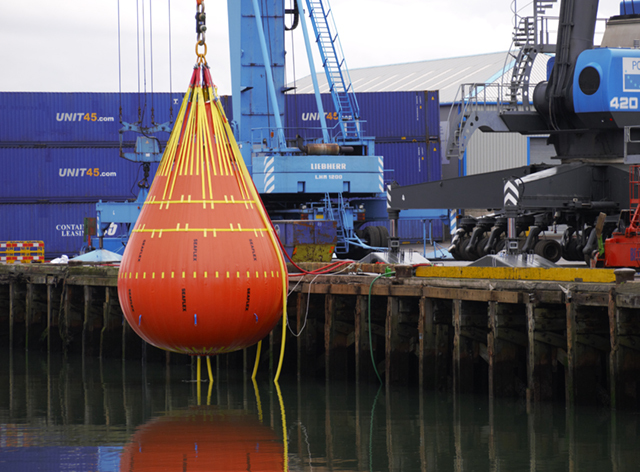 Unique Group’s Buoyancy & Ballast division has launched the largest load test water bag on the market, through its specialist Seaflex brand, in response to demand from clients. Customers have been seeking to cluster up to 300t under a single hook, or looking to test loads between 50t and 100t without rigging up multiple bags under a spreader beam. Now, UK water weights manufacturer, Unique Group, has added to its world leading Seaflex brand of products and launched the 100t waterbag. The 100t Seaflex Waterload™ bag is immediately available for purchase worldwide from Unique Group, or any of our approved partners.